End stage prostate cancer — also known as stage 4 prostate cancer or prostate bone cancer — is defined by the medical industry as the most severe form of prostate cancer because it has spread outside the prostate capsule. Once that happens, according to them, only radical treatments can delay the inevitable end. These interventions seek to radiate the body, treat with chemo drugs, remove the prostate gland with a radical prostatectomy, and often combine these treatments. Unfortunately, there is no evidence to support added life expectancy with these treatments. My opinion is simply that the treatments weaken the body further and can hasten the end. Of course, there is no way to prove this opinion, but this is where I define the fork in the road. The choice to me is clear: do everything you can to change the conditions that caused the stage 4 prostate cancer to become so extreme. 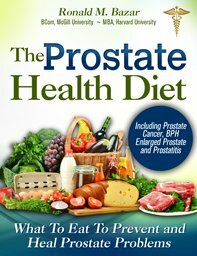 On this site and in my book, Healthy Prostate, you can read much, much more about the causes of prostate cancer and how to heal it naturally. The pain in the pelvis and hips can be the result of prostate bone cancer that has spread outside the prostate due to metastasis. 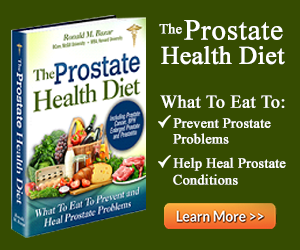 How would I treat Stage 4 prostate cancer? I would stop all the foods that cause cancer, and stop using all the household and bodycare products that leach toxins into the body. I would change to those foods that resonate with my body — through personal testing — as I describe in my book. I would only eat fresh organic foods, grains, nuts and seeds properly prepared and soaked to reduce the phytic acid; cooked nourishing broths and meats from grass-fed and pastured animals; and eat raw, unpasteurized dairy and eggs which have a completely different profile than conventional cancer-causing, factory-farmed and produced foods which are loaded with toxins. I would stop all harmful foods listed on this site and in my book. 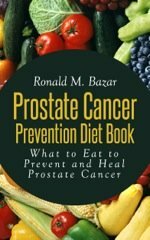 For end stage prostate cancer, I would stop all sugar and its substitutes. Why? They feed the cancer. I would undergo cleansing short fasts with freshly made vegetable juices if personally tested "Yes." I would do a liver flush, or many, to rid the body of major toxins quickly and easily. I would ensure that if couldn't get adequate sun on my skin, I would at least take an adequate dosage of Vitamin D3 levels. I would take aloe vera juice each day and test for which supplements my body needed like zinc and magnesium. I would turn my body into a healthy host so that the cancer no longer multiplies. I would meditate daily to uplifting music and see my body becoming clearer and stronger. I would do stress management practices so that I am relaxed and able to heal. 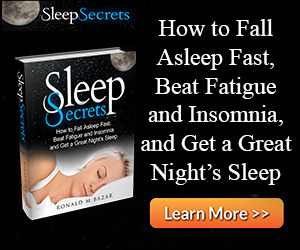 I would take melatonin if personally tested "Yes," starting at 1mg moving up to 3mg. I would give myself a chance to really heal and stay far away from doctors and hospitals and all their tests and interventions. I would forget about PSA readings and never do another biopsy. I would have massages and bodywork done to me. I would learn how to do yoga for its many benefits. And I would do some kind of very active exercise every day. I would enjoy far infrared saunas regularly to remove toxins from deep inside my tissues, and I would have colonics to eliminate sludge from my colon. If I could afford it, I would get out into the countryside and take long vigorous walks in nature and breathe deeply through the nose in and out to oxygenate my body. I would watch the funniest movies I could find and laugh till I cried! I would make peace with the world and count my blessings for being alive. I would radiate the feelings of love to wash over me and spread to family and friends. End stage prostate cancer could then no longer find a host in my body for I would have changed the conditions that I either knowingly or unknowingly created that led to it.